Anyway, I received this sweet parcel from Natta Cosme a few weeks back and I couldn't be happier! As you may or may not know, my skin has been quite bad lately with lots of pimples popping up at weird places. I don't feel confident going out with my bare face so I usually apply at least my BB cream/ foundation and draw my eyebrows before I leave the house. Photoception. Haha. Thank you Natta Cosme for the surprise gifts! 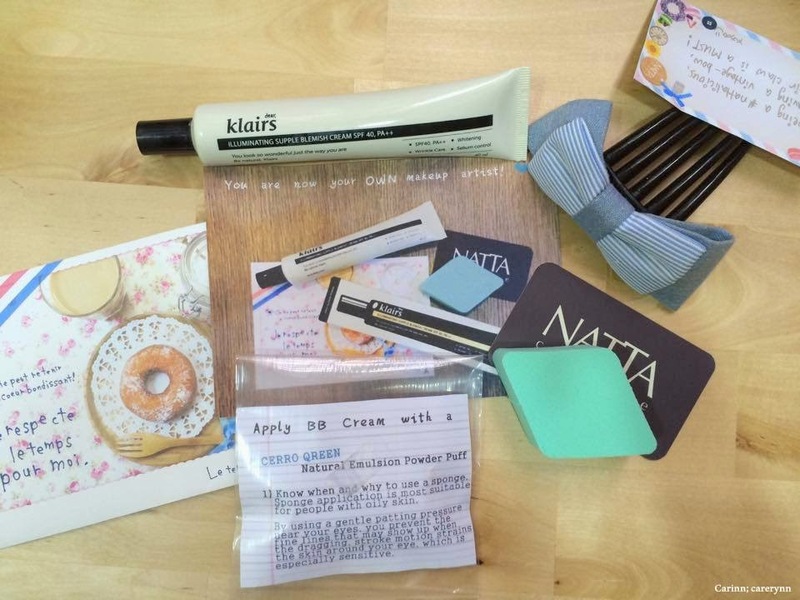 So sweet as usual ;3 I received a full-sized 40ml tube of Klairs Illuminating Supple Blemish Cream SPF 40 PA+++, Cerro Qreen Natural Emulsion Powder Puff and a vintage hair claw! Honestly, prior to this tube from Natta Cosme, I've not purchased any BB creams for about.. 4 years? Lol oops. My current tube lasted quite a long time (although I know it's bad to keep makeup for such a long period). I've always used BB creams back in high school and college as I found that foundation is a little too heavy on me but ever since I went to uni and what with the stress and dirty air, I relied on foundation for more coverage. There are also rumours that BB creams are actually not as good as foundation as they tend to clog your pores. What's your say on this? In case you didn't know, BB cream stands for blemish balm, beblesh balm or beauty balm. 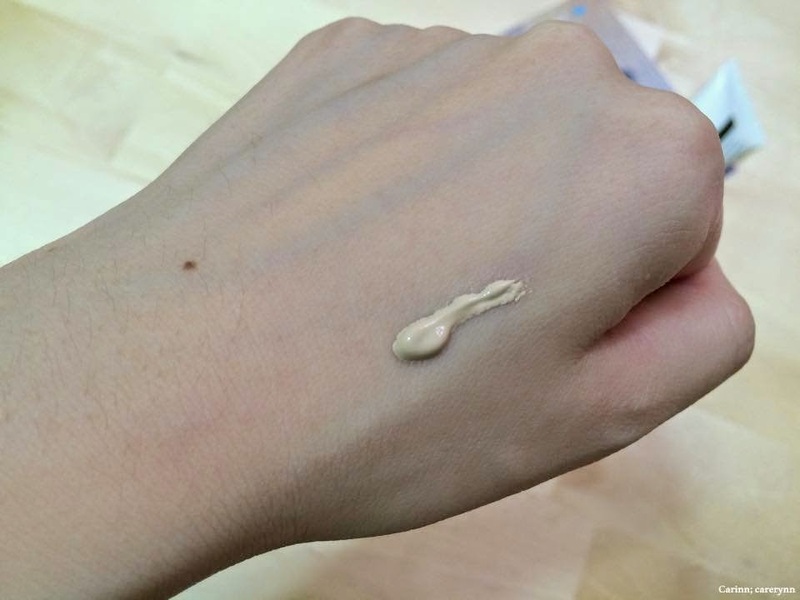 BB cream usually has the consistency of a foundation but has a much lighter coverage. It can be worn alone as a tinted moisturiser or with powder and can be built up to have the desired amount of coverage. 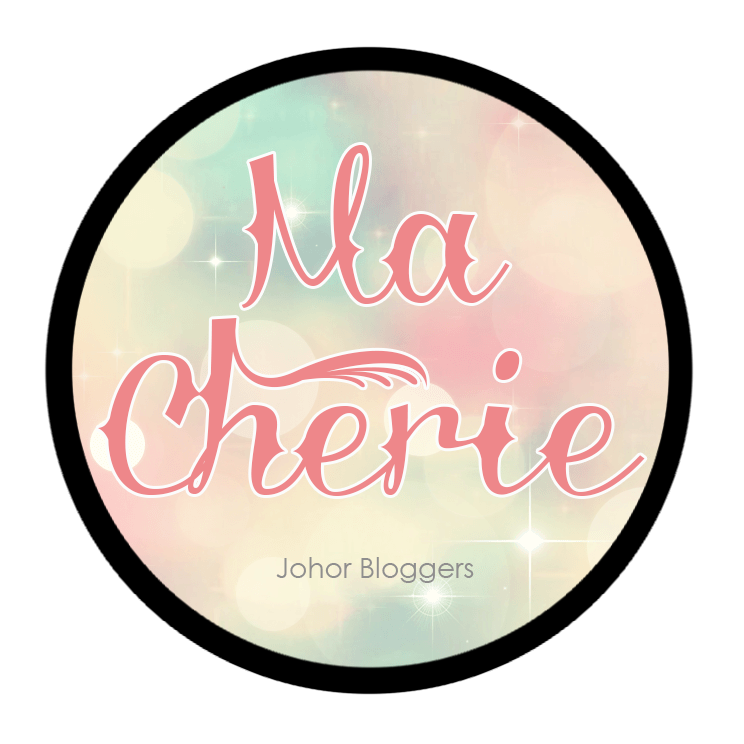 It is said to be an all-in-one cosmetic product that contains serum, moisturiser, primer, foundation and sunblock. Sounds cool, huh? 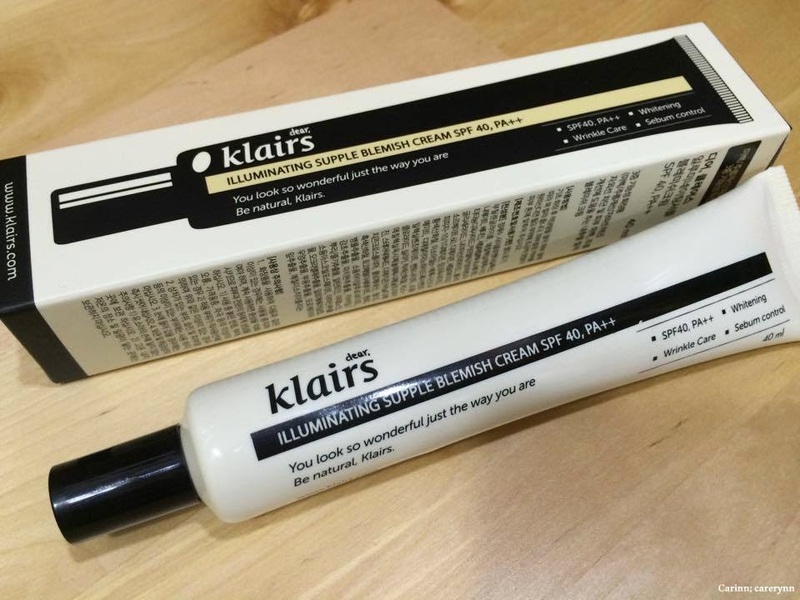 Klairs Illuminating Supple Blemish Cream from Korea is different from conventional BB creams though, in a sense that it is a 3-multifunctional cosmetic product. It offers sun-protection, whitening, wrinkle improvement and sebum control, all in one tube. Knowing that since BB Cream is not a skincare product, Klairs Illuminating Supple BB Cream has came up with a formula with added water tank component hyaluronic acid to minimise irritation on the skin, add deep moisturising effects and keeps even the T-zone area soft. It is suitable even for troubled and sensitive skin, without darkening and adding cakeyness. Oh yeah, both male and female can use this! 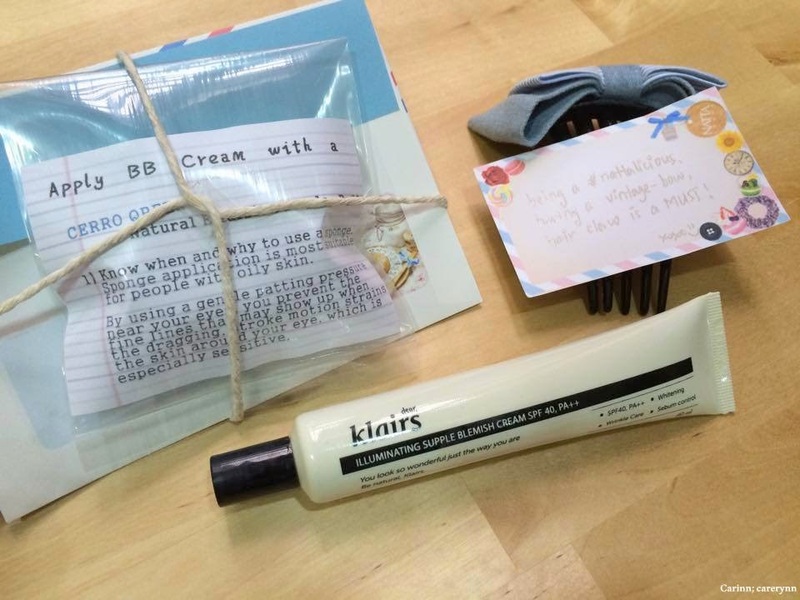 It's no wonder that this product is one of Klairs' best-sellers! 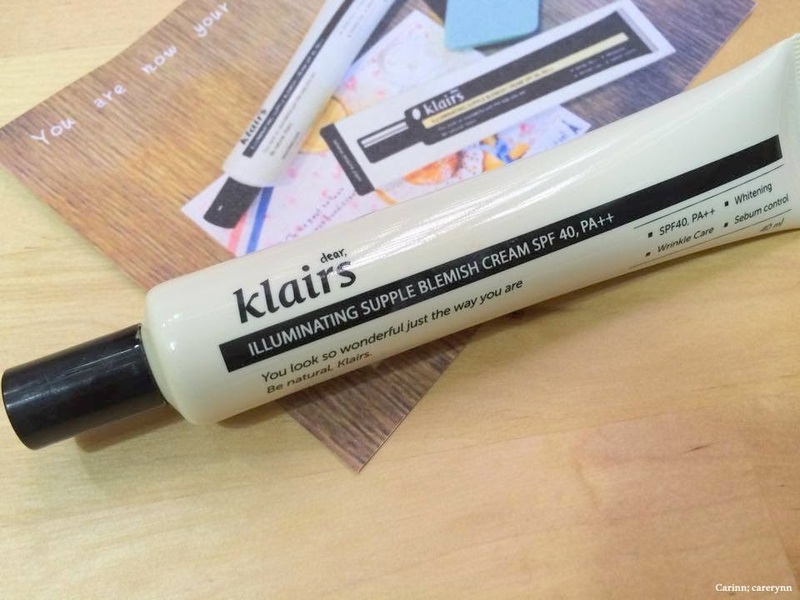 Klairs Illuminating Supple Blemish Cream helps you save 5 minutes in the busy morning as it replaces your primer, powder and sunblock already! The sebum control apparently also lasts from morning to afternoon. It is said to fit abt skin tone from light to dark, blends in well and can be reapplied and does not stimulate troubled skin. For people who have dry skin, redness and large pores, this is the product for you if you want natural-looking makeup! There are no silver protective layer on the tip of the tube the first time I opened it, which kind of surprised me. Did you also notice the very adorable words on the packaging? It says, 'Dear Klairs, you look so wonderful just the way you are. Be natural Klairs.' Haha so cute! Indeed, with Klairs, it is all about looking naturally beautiful! Let's do a simple swatch. 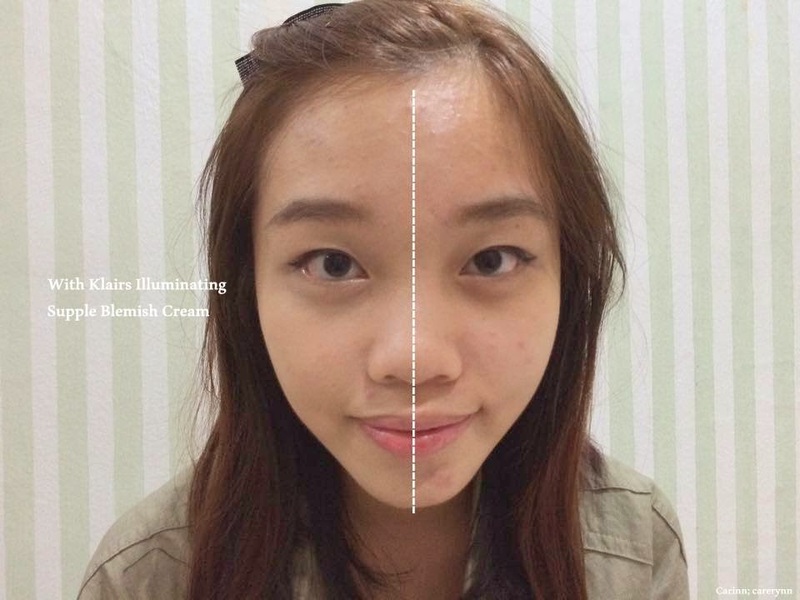 The BB cream has quite a thick consistency and a slight grey undertone. After blending it in, you can see that the right side of my hand is vis ibly brighter and fairer. It's a very light layer but some of the cream does settle into the rough lines on my hand. Of course, the effect will be different on the face. 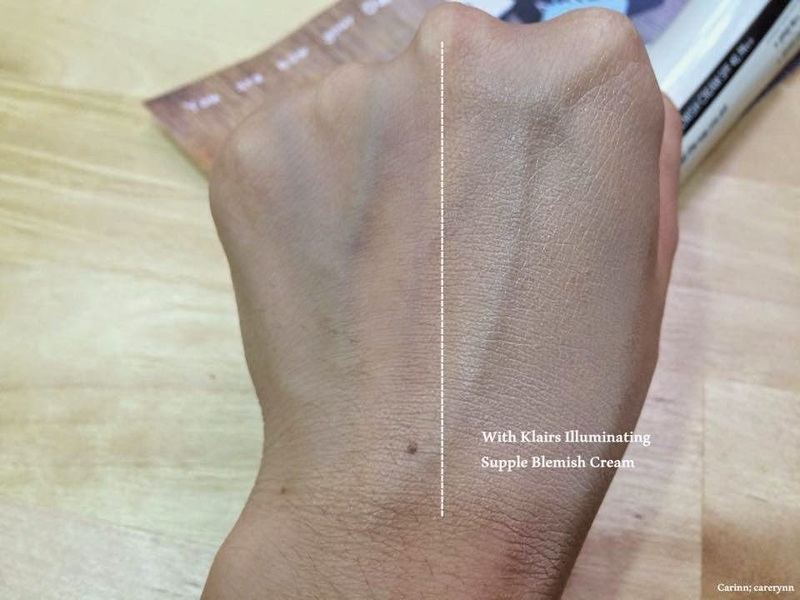 Klairs BB Cream has a unique smart colour system that enhances the natural skin tone, instead of covering it up. After all, isn't that what makeup is all about? It is to enhance your good points and hide the flaws. The BB Cream also feels light and evens out the skintone for healthy-looking skin. 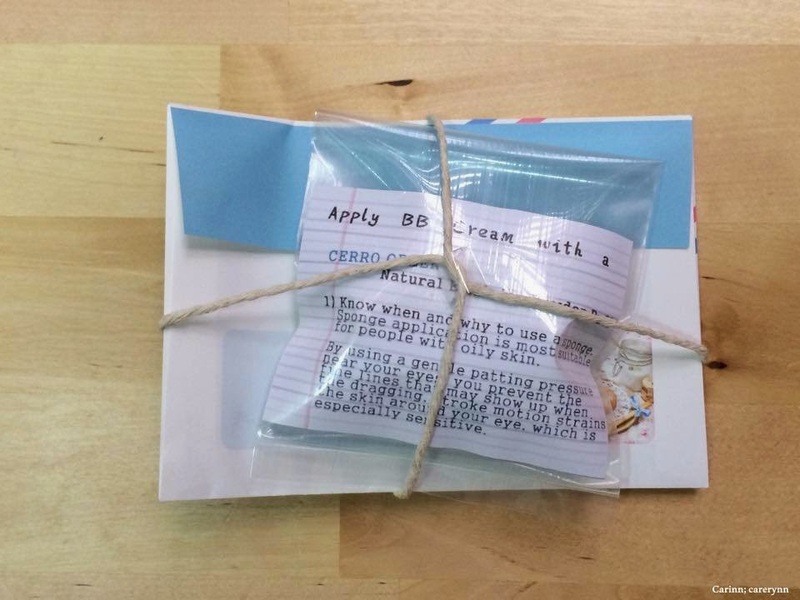 Now to unveil the Cerro Queen Natural Emulsion Powder Puff that came with the BB Cream. It is advised that people with oily skin use a sponge to apply their makeup as it is more moisturising. The only makeup sponge I've ever used before is a Beauty Blender dupe so it's refreshing to see this cute little diamond shaped sponge. The sponge is so soft and bouncy! The edges are good for reaching hard-to-reach places like around your nose or under your eye. Use a gentle patting and twisting motion to get smooth lines, especially be gentle around the sensitive eye areas ok! 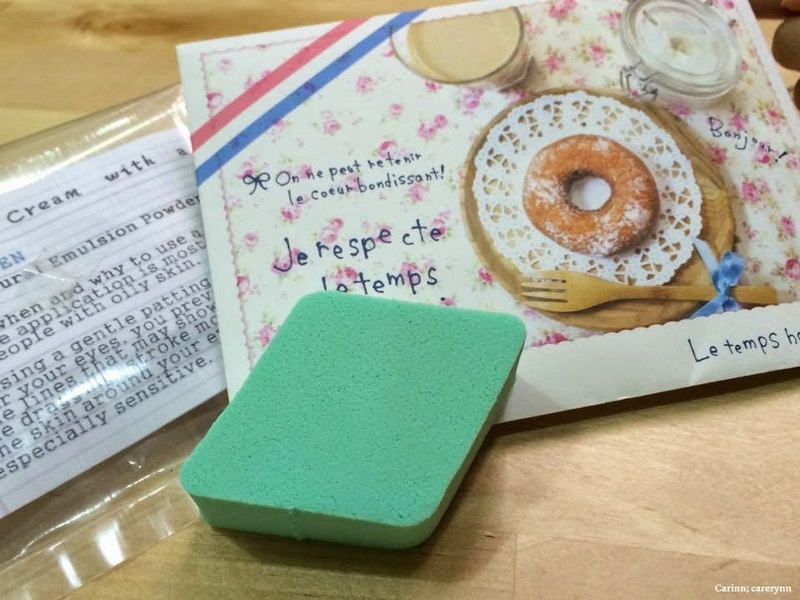 Unlike the Beauty Blender, this sponge does not need to be wet first before using. 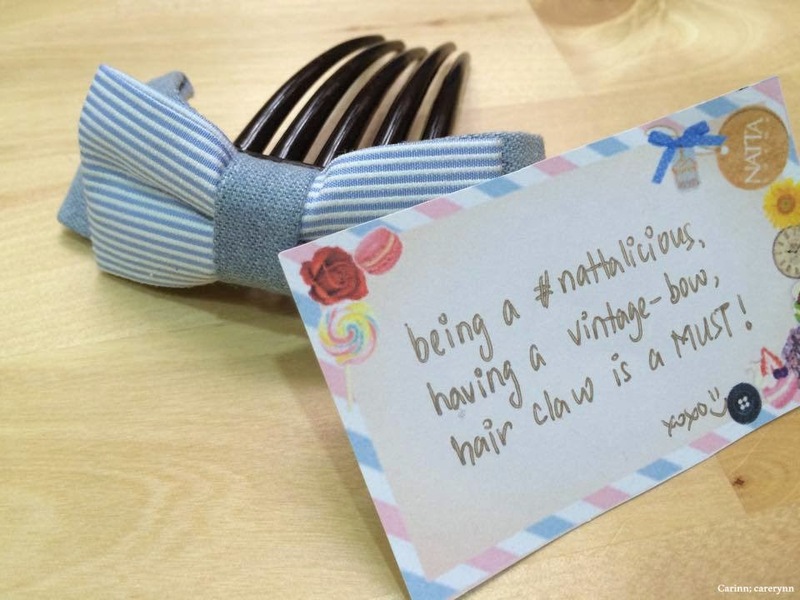 Lastly, just wanna show off the sweet card and ribbon hair claw that is handmade by the Natta Cosme team. Now I can wear my hair back in style! I applied the Klairs BB Cream to one side of my face and I hope it's clear enough for you to see how well it covers up my uneven skin tone and redness, especially around the chin area! Admittedly, the coverage is really light and can't cover up my dark eye rings but the good news is, this product is buildable! I find that by using a sponge, you get more even application while using your fingers leaves streaky lines on your face. You can even use this BB Cream to replace your primer, makeup base or tinted moisturiser/sunblock before patting on your foundatioin and concealer on top, or simply wear it out on its own. 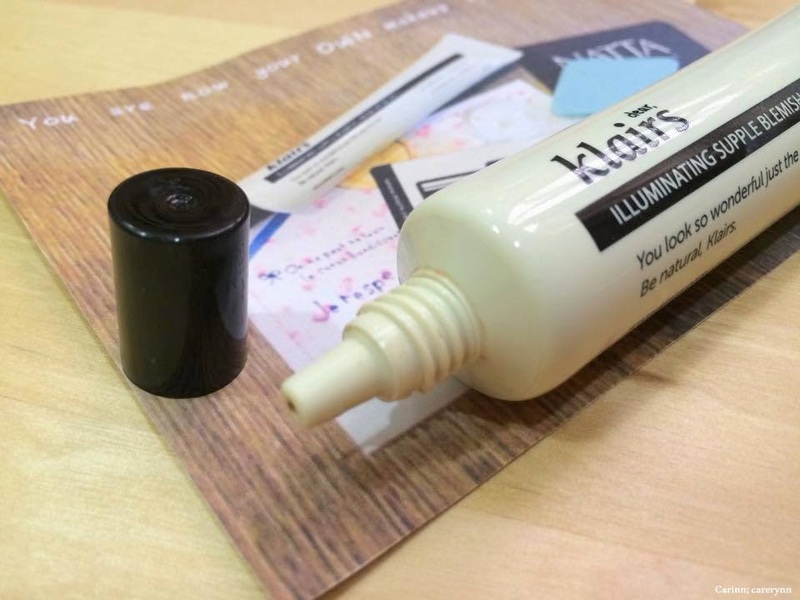 Get the Klairs Illuminating Supple Blemish Cream SPF40 PA+++ 40ml from Natta Cosme HERE for RM 71.20! 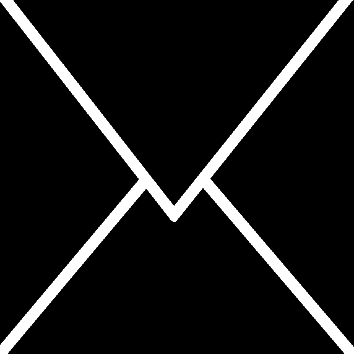 Find other products by Klairs here too! Disclaimer: Even though the product was sponsored, it has not affected my opinion in anyway. the review is based on my honest personal thoughts, experiences and preference after trying out the product. How I use it may not be the best way to use the product and effects may vary depending on various conditions. Haha no lah, that was a coincidence! 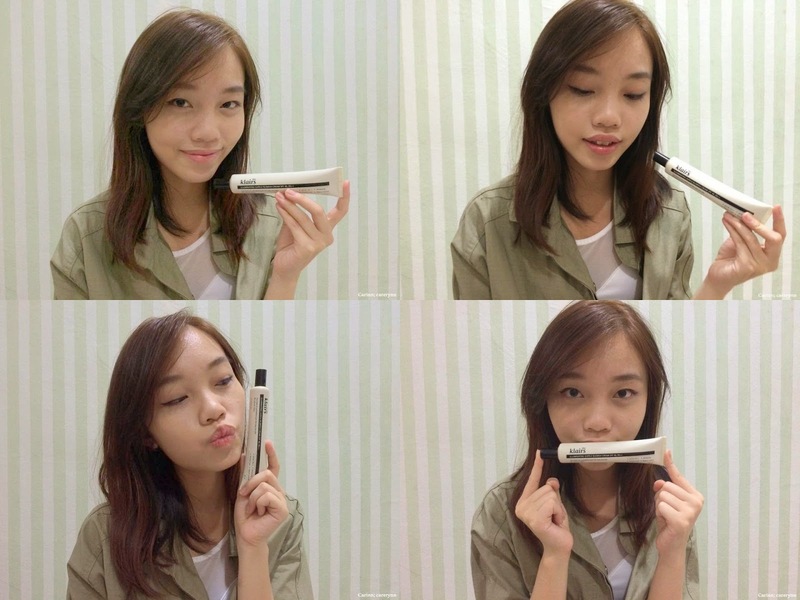 The backdrop is my room wall XD Thanks babe! 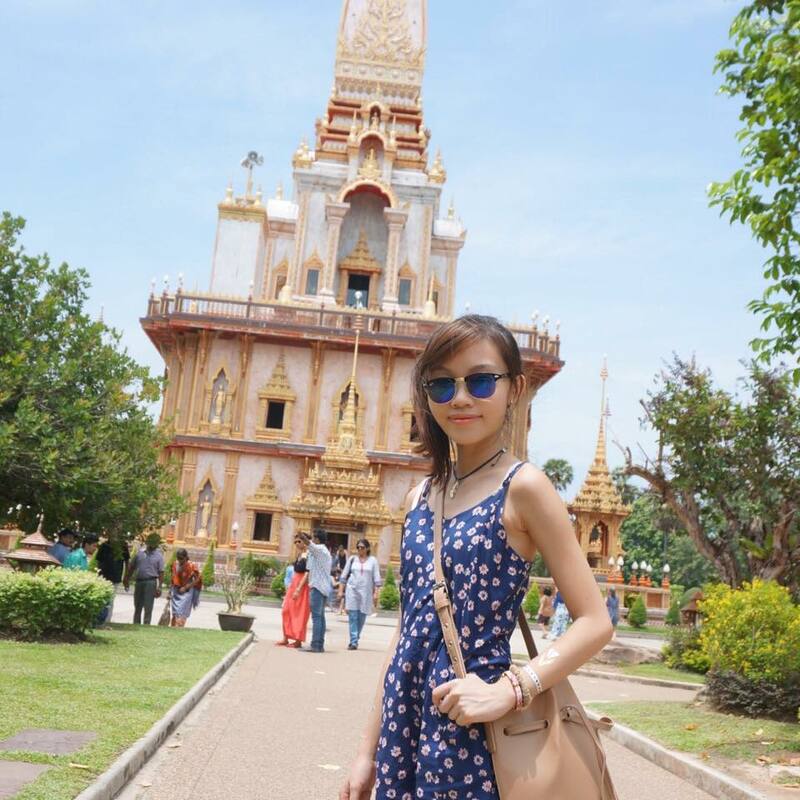 Carinn,your review is detailed as always! :) Btw, your hair is quite long now!!! I love your room wallpaper! Great review! :) It seems like a nice product! It's great to see how much effort you put into your review!